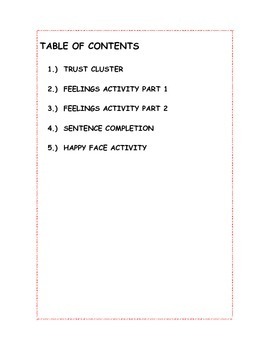 This packet contains activities for elementary-aged students. 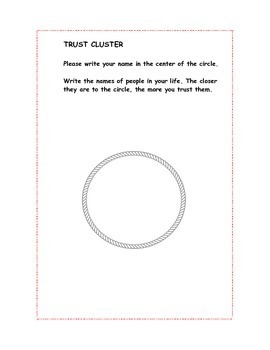 The activities include a trust cluster, identification and experiences of various feelings, sentence completion, and people they feel closest too. These activities give a better perspective for school counselors and teachers regarding their students' emotional well-being.